Discover a range of charming cottages with great communal leisure facilities such as an indoor pool, tennis courts and a children's play area. 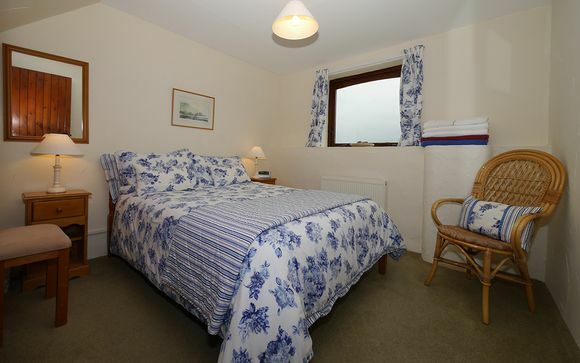 Kennacott Court is situated half a mile from the beach on the North Cornish coast, close to Bude and pretty Port Isaac. Our members may choose from a range of cottages, each perfectly equipped for self catering, sleeping up to four adults. Kannacott Court holiday cottages are situated just south of Bude, in the heart of Cornwall's beautiful Atlantic Heritage Coast. 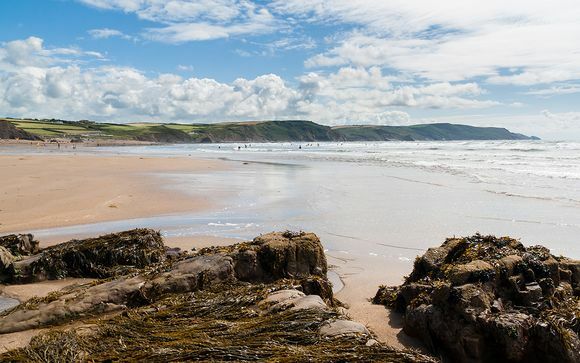 Widemouth Bay is just half a mile away. Enjoy stunning gardens, beach walks, heritage attractions, golf and, for those who fancy something a little more active, plenty of outdoor or water-based activities. 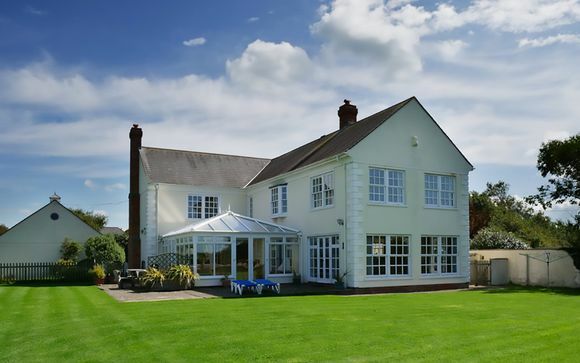 Kennacott Court is a charming collection of holiday cottages, set in 70 acres of grounds with magnificent views over the rolling Cornish countryside, towards Widemouth Bay. 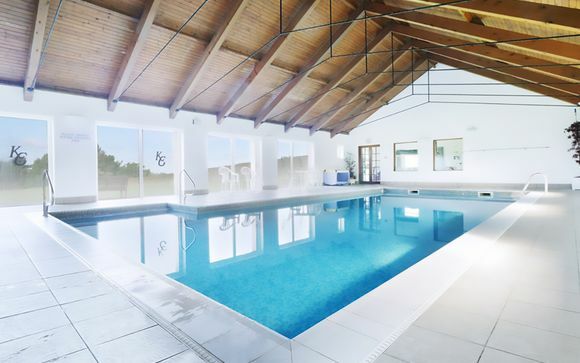 Leisure facilities on site include a large indoor swimming pool, sauna and fitness room, a children's playroom, two all-weather tennis courts and much more! Dizzard - This spacious two storey cottage offers spectacular views over the golf course and countryside towards the sea. It features an upstairs open-plan living room with french windows offering sea views, pine fireplace with coal effect electric fire, exposed beams, dining area, and full kitchen with dishwasher, washer/dryer and microwave. Sorry - no pets are allowed in this cottage. Crackington -The 'upside-down' accommodation in this cottage commands sea views beyond the golf course and open Cornwall countryside. On the ground floor is the entrance lobby with stairs, one double bedroom, one twin bedroom, and the bathroom/wc with electric shower over bath. The twin beds may be bunked to make room for an extra child's bed. 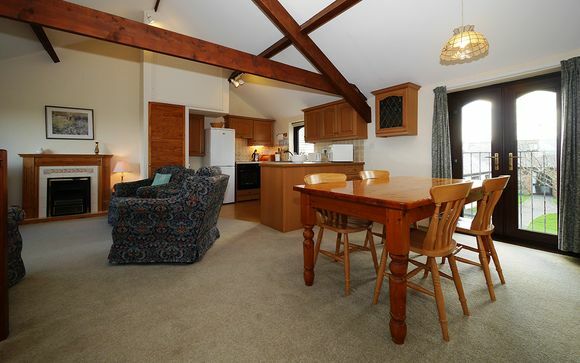 Upstairs is the spacious open-plan living/dining/kitchen area which has french doors overlooking the courtyard, pine fireplace with 'coal effect' electric fire, exposed beams, dishwasher, washer/dryer and microwave. Foxhole - An unusual cottage with entrance into fully fitted dining/kitchen, with dishwasher, washer/dryer and microwave. One double bedroom and bathroom/wc with electric shower over bath on the ground floor. From the kitchen are two steps down into the sunken living room, which has a pine fireplace with 'coal effect' electric fire. 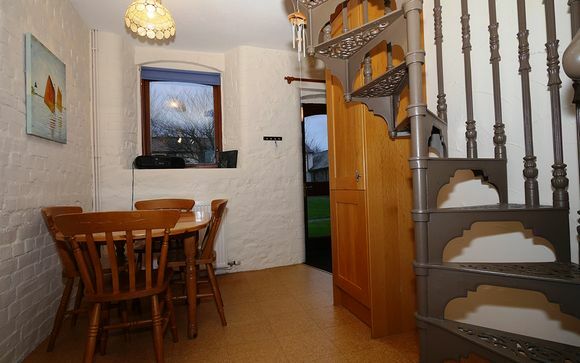 A spiral staircase from the dining area leads to the mezzanine, which has space for an extra child's bed if required, and a twin bedded room with second tv. Gas barbecue. Welcombe - A spacious 'upside-down' cottage with spectacular views over our golf course and Cornwall countryside to the sea. Entrance porch to lobby with stairs. 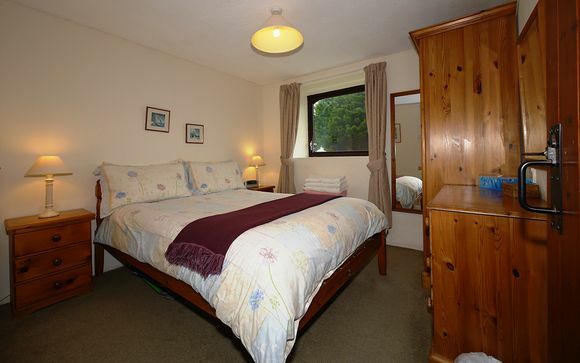 Two downstairs bedrooms, one double and one twin-bedded. Bathroom/wc with electric shower over bath. Upstairs is the large open-plan living room with a pine fireplace with coal effect electric fire, exposed beams, french windows facing the sea, dining area and luxury kitchen with dishwasher, washer/dryer and microwave. Sorry - no pets allowed in this cottage. Each cottage is fully equipped for you to make delicious family meals. In addition to a full kitchen, most cottages have a gas barbeque for the summer months. Make the most of the extensive facilities available on site, from tennis to golf, and of course enjoy some beautiful walks along the stunning Cornish coast.